When we went from being a two-income family to a one-income household with a baby, the days of easily paying the bills on time, let alone paying off debt, seemed like a distant memory. Instead, we were looking for ways to save money on bills. Finally, I got fed up with feeling out of control and I figured out a bill pay hack to make the same monthly payments but actually save money on interest every month. If your monthly budget looks anything like ours, you have at least one week where it seems like all of the big bills are due all at once. Some weeks, it seemed like we had plenty of money left over. If we weren’t careful though, we could easily be left with no choice but to dip into our savings on that one week a month when so much was due. Building a family budget on one income is daunting and overwhelming. I didn’t even want to look at our debt or when bills were due because it felt like a surefire way to get depressed and anxious. 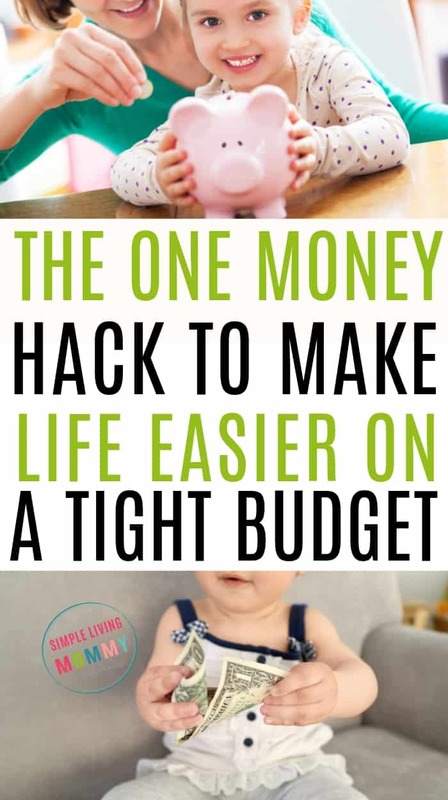 When I figured out this budget hack, it felt like we had somehow discovered money we didn’t know we had. It finally occurred to me that if I could just divide up our payments, we wouldn’t have to risk going in the hole every month. On paper, it looked like we had enough coming in to cover all of our minimum payments plus a little left for gas and food. If we were careful with our expenses, my husband’s income was enough for us to make ends meet. Every month we went through the same thing. We’d have those weeks where it looked like there was a lot left over after the bills were paid, so we’d go out to dinner or over spend on groceries. Then, that one week would roll around and suddenly our bills demanded more of our money than we had in our bank account to offer. Finally, I decided enough is enough. Some of our creditors gave us the option of moving our due date, but this wasn’t enough. What finally worked for us was dividing up our payments and scheduling them to be automatically deducted from our bank account. Initially, I was worried about giving companies access to our bank account. After trying to pay all of our bills weekly and realizing I had missed some (even incurring late charges a couple of times) I gave in and scheduled everything to come out of our account automatically. My reasoning was that if we had a $200 minimum payment due once a month, we should easily be able to afford $50 per week. We decided on weekly payments even though my husband gets paid every 2 weeks. Honestly, I think this system works best because we were on a tight budget. If we had money to spare every month, I wouldn’t have noticed such a drastic dip in our financial stress. After we implemented this bill pay system, it seriously felt like we’d been given a pay raise. I realized being strategic with not just how we spent our money, but how we paid our bills was key. It helped us live comfortably on a tight budget. I made an Excel spreadsheet of all of our minimum payments and due dates, but you could easily do this using a paper ledger like this one. Then, I made a separate column and divided the total due by 4. So that $200 minimum payment meant 4 equal payments of $50 could be made weekly to meet our minimum. I did this for all of our minimum payments and realized it would make our lives SO much easier to pay an even amount of money every week. I called the Discover card company to tell them my plan and to ask a few questions about how our interest was calculated. It turns out, paying our bill weekly like this instead of just making one payment every month would actually save us in interest charges. This means that even though we’re paying the same amount of money every month and doing it in a way that makes our finances easier to handle, we’re actually saving money on bills. This works perfectly for credit card bills, personal loans, car payments, and even utility bills. I also use this method to pay off recurring monthly charges to make sure they don’t add to our debt load. For example, our Netflix, Microsoft, and Groovebook accounts draft monthly from our Discover card. Instead of forgetting about these charges like I used to do every month and letting them add to the debt on the card, I simply added these to the minimum payments that are being auto-debited from our bank account. These charges add up to roughly $50 per month, so instead of just paying the $200 minimum payment on our Discover card monthly, I take $250 divided by 4 weeks in a month, and pay $62.50 per week. If you’re sold on this method by now, keep reading. I’m going to lay out for you exactly how we implemented this system with our own bills and bank account. I promise, it’s not as complicated as it looks. When you sit down to do it yourself, you’ll see how all of these pieces come together. Check your calendar and make sure there are at least 4 weeks before your next due date before starting this method! If not, you can wait until just after your next minimum payment posts to start. Otherwise adjust your payments accordingly. For example, if your next due date is only 2 weeks away, divide your minimum payment by 2. Then make two weekly payments of half of your minimum payment. THEN be sure to go back in after your due date and change your payments to a quarter of your monthly minimum payment. Make sense? It gets confusing, so I just set up automatic payments to accomplish this for me and kept diligent notes. Finally, make sure to keep good notes and go into each of your accounts for a couple of weeks. Make sure everything is clearing your bank account and posting to your creditor’s accounts correctly. Believe me, the time you spend getting this right now will save you tons of financial headache after you get this set-up. It will run on auto-pilot and you can just sit back and enjoy a much more stable budget all month long! When you make a payment to your mortgage company that equals less than a monthly payment, one of two things will happen. They will either take your extra money and move it into a “suspense” account where it waits for a set amount of time until you make another payment(s) that equal a full payment. That amount of money will then be moved from the suspense account to cover a monthly payment. Or, as in our case, the extra payments were sent straight to principle. We ended up behind on our monthly payment, but with two monthly payments worth of funds applied to our principle balance. I know, I was annoyed (and kind of shocked) when we started getting phone calls that our mortgage was behind. It took numerous phone calls, e-mails, and chat sessions to finally get this cleared up. Take my advice and don’t go down that road. It IS possible that your mortgage company offers a biweekly payment option. Give your mortgage company a call and see if they can work with you. If not, you can always transfer 1/4 of your mortgage payment to savings every month and then move the full amount back to your checking when it’s time to pay the mortgage payment. 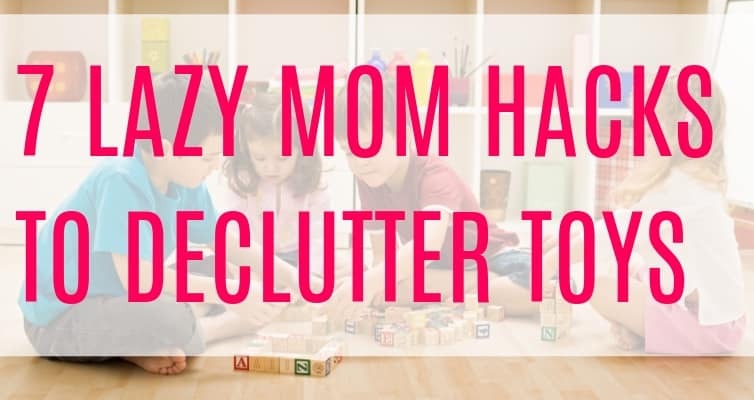 If you’re organized enough, that is definitely an option. We decided to just leave the mortgage out of our weekly payment plan. 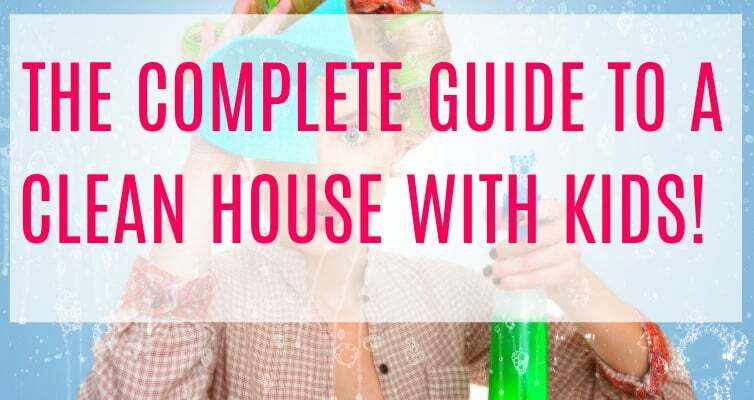 For our little family, this method works perfectly! We pay each of our bills weekly (except for that dreaded mortgage) and we don’t have to worry anymore about having a crazy expensive week and blowing our budget. This helps us to stay organized, pay all of our bills on time, and even schedule small extra payments to help pay down debt. Since I originally wrote this article, our financial situation has changed a lot because of this blog. It now brings in a significant income for us every month, but we do still make weekly payments to each of our creditors (and we still don’t pay our mortgage weekly!) If you think you might have what it takes to start a successful blog, check out this post and join my e-mail newsletter for bloggers! Do you struggle to make the minimum payments on your debts? Do you think this method will work for you? If you have any questions, be sure to let me know in the comments! I’ve been doing something very similar to this for the past few years & it works great! I ran into the same problem with our mortgage but the bank that holds our mortgage offers a bi-weekly payment plan where those payments are properly allocated. After researching, I realized that paying biweekly actually saves us a TON of money and can shave off year’s from our mortgage term. I just wanted to share this info to encourage everyone to call your mortgage companies to find out if they may also offer similar plans! I wish our mortgage company offered that! Great tip! What bank is your mortgage through? Sounds like a good plan, and thanks for the interesting tip on the mortgage payment. About 15 months ago, I bit the bullet and purchased a budgeting software that has helped us tremendously! So much so that we were able to get one month ahead on our bills AND put enough into savings to buy a new house. Wow. I too would like to know what software Emily is using? can you share the name? Hi Lana – I really want to know too! Sounds like YNAB (You Need a Budget). They encourage people to get one month ahead on bills. I use YNAB and love it! what is the software that you purchased. I’m the main one to do the bills and I find out if I get behind on one thing it messes me all up and I’m left feeling lost and stressed. What issues do you see making the payments bi weekly? Do you just not save as much on interest? Hi Sally! I can only really speak to credit cards that accrue interest daily, but yes – the issue is that you don’t save as much in interest. However, if it works better for your budget and schedule, definitely pay your bills biweekly. Really, the point is to pay your bills more often than once per month to avoid the money crunch that one week a month when there are more bills than paycheck. Good luck! I used to have autopay, but now that I can’t predict how much my husband brings home in a particular week (and we’re still playing catchup), that would be disastrous. Bad enough that my bank’s online banking is just mailing my check for me, not deducting the money from my account on the day I request the payment to be made. I love this idea! I struggle every single month with paying my bills. I moved in with my boyfriend early this year and learned that I was living far outside of my means at my parents house. I will definitely try this for a few months to see how this works!!! Thank you for the tips! Hi Terri! I really hope this system works for you! Good luck! I have a question about getting started. What steps did you take to make a transition to this budget format? My husband and I sat down last night and I broke up everything into weekly payments we would need to put into different accounts (i also want to try the multiple bank account method). That would end up giving us $90 at the end of each week instead of the barely 30 we are managing now. The only problem is, we don’t know how to start the transition. My husband says we can’t use this budgeting technique because of how bad our financial situation is right now. Do you have any suggestions? I refuse to believe there’s nothing we can do about our budget! Hi Emily, when I first started doing our finances this way, I wrote down every single bill and how many Fridays were left until the next due date. I knew I ultimately wanted to divide my bills by 4 (for each week in the month) but for some bills, I only had 2 weeks left until they were due. In this case, I divided the bills in 2, paid half this Friday and the other half the following Friday, and made a reminder for myself to change the amount to 1/4 for the next 4 weeks after that. I can’t figure out how to say this so it doesn’t sound so confusing! It’s a pain at first because you’re getting through those first few weeks when you have due dates that are staggered, but after you get the system rolling, it frees up so much extra money because you aren’t stuck with those weeks where it seems like everything is due at once. I really hope you’re able to find a way to make this work for you so you get that extra buffer every week. Hang in there! On your mortgage you should be able to make biweekly payments (thats how mine is being set up), or you could pay yourself weekly for it( I use my savings account for that plus my monthly savings). Hi Marti, I looked into this, but apparently it only works if your mortgage company offers a program for biweekly payments – which mine does not. I wish they did. I do the savings account thing now like you! 🙂 We have PNC Bank (I hate them, but that’s another story for another day) and their “Virtual Wallet” gives you 3 accounts – checking, savings, and reserve. The reserve account is perfect for this, so until we switch banks, that’s what we’ll do. If you can afford it, another great way to get ahead on your mortgage interest is to make additional principal payments each month. It actually works better than some bi-weekly payment programs. Check your mortgage coupon for an additional principal line. Add an extra $30 or $50 to your monthly payment, or whatever you can afford it. They apply this payment amount directly to the principal balance, which in turn saves interest over the life of the mortgage and helps pay down the balance faster. Pay as much as you can when you can, it can make a big difference. I have PNC Bank as well and I too hate them! I have asked about Bi-weekly payments and they won’t work with me on a date. They will only pull payments on specific dates. And I learned the hard way about making any changes with these people as they pulled two mortgage payments out two days apart in the same month! What about utilities and other variable bills? Hi Kim! I’ve always handled those on a month to month basis. When the bill comes in, I’d either pay it (if it’s like a $25 bill) or divide it over the course of 4 weeks and schedule it accordingly in my bank account. I guess this works. You take this a step father than I do with my budget. I’ve got an Excell spreadsheet with when bills are due, when hubby or I get paid, etc. We do everything bi weekly. Just being able to see the bills spread out makes me realize oh, this bill is coming soon I can’t overspend. Also, I’ve started to use cash for things like going out and groceries, so I can’t go over. Also, paying off your credit card monthly will save on those interest charges. We haven’t paid interest in over a year, just by paying the credit card off! I’m actually working on doing this right now but how did you set it up with your bank to do the auto pay weekly? Hi Kari! I bank with PNC (but I wouldn’t recommend them) and they have a bill pay section with a drop down menu for frequency. I think it’s daily, weekly, bi-weekly, or monthly are my options. Thank you! I bank with Wells Fargo and I found their bill pay section! I’m going to set this up tonight! Good idea but I’ve been splitting payments on cars and my mortgage for years and it only causes a call or email once or twice but has allowed us to drastically reduce the principal on these large debts. Hi Jodi! I’m really happy this system has been working for you. It’s crazy how much money you can save in interest over the years just by splitting your bills. What about utilities? Do you divide them up? Yep, if we end up with extra money going to our utilities, that’s fine with me. Sometimes we’ll end up with a positive balance on our electric bill for example. I do this too. Everything is on the weekly! My husband gets paid weekly so it works great for us. We use Fifth Third and have had issues over the years as well, but really do like their online payment system. I can see everything for the week and what’s left over. We once sruggled with the huge house payment as well. Only recently I realized I could send weekly payments to my savings account then once monthly with recurring transfers it comes back into checking and I have checking set pay the house payment monthly with that money. I think everyone should do bills this way! It has worked very well for us. I especially love it for interest free cc payments to be finished before the promotional period ends. My dental work was 1200 which I financed interest free if paid in 12 months. Cha-ching! $25 per week for 48 weeks makes it is so easy! I’ve been using this method on my credit cards for a while now. I pulled out Excel and worked out what interest would look like daily and then started playing with payments. I DOES make a difference for two reasons…. You’re cutting down your interest and making your payments more comfortable. I’m so happy this is working for you too! How can you do the automatic draft divided into smaller payments when that actual amount drafts out on that due date? To me that would mean they would draft out twice that amount. I dont think that creditors would draft out weekly payments like that. Usually it is ALL drafted out on that due date. What can I do there? I have the majority of mine set up this way but I still find my self short most months. Hi Peggy, I don’t set mine up with my creditors, I set them up with my bank. So through my banks website, I set up 4 equal payments to each of my creditors (except my mortgage) making sure the total amount is received by each creditor on or before the due date. Does that make sense? I figured out an easy way to take care of the mortgage as well. I had my husband set up an extra direct deposit to our savings and have a little more than 25% of the mortgage go to that acct. When it’s time for the pmt, I go online go our bank, transfer the amt over to checking and then make the put online at the mortgage website. I I started this last year and it works wonderfully ! I’m like ve that the payment goes right away and it really lowers the interest you are paying too. Thanks for the great tips…I too, thought I was doing a great thing with my mortgage inky to find out exactly what you did, it took a few phones calls to clear it up and out us right back on track! I am wondering how you start this without having a bunch of extra money up front? For example if I pay my full cell bill on the 1st of the month, I’ve used the money available for that bill already. How can I pay it again every week that month? It would be like paying every bill twice, at least for a month. Does that make sense? This is a great alternative, I cannot believe I never considered breaking up my payments further than biweekly. Thank you so much for sharing this method. I am excited to give this try starting the new year. Hi Amber! As soon as a bill was paid for the month, I would start taking 1/4 of the next payment out of each paycheck. The easiest way for me to do this was to just send the money directly to the company we owe it to via autopay. This sounds like something that is realistic and practical. I was about to turn off all of our auto pays because seem like I’m always going in the hole every payday with just 5 days of getting paid. I’m at lose and done with it. I don’t usually have trouble but I’ve got something out of bablance and I have to find it fast. We did the same thing on a bi-weekly basis each month with our mortgage company. BUT we held onto the money and simply sent mortgage company two checks each month which totaled a little more than the monthly payment. 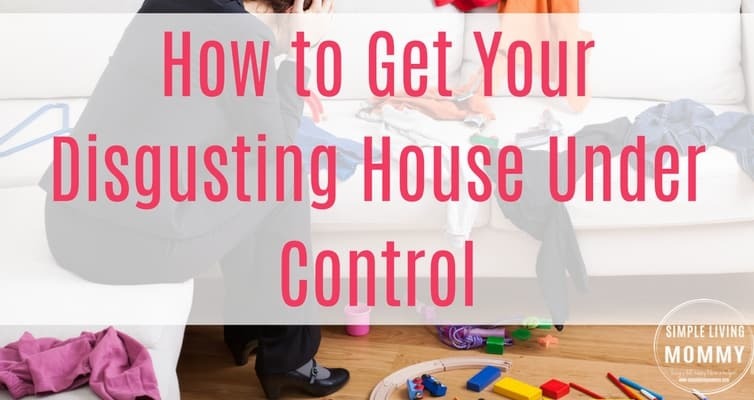 We had a HUGE mess because of this and the mortgage company called and literally fussed at my husband for messing up their system! In the end, we simply started setting aside half payments each pay period and writing one check to all the companies we owed money to each month. The whole principle is what I call forming ‘sub accounts’ within our checking (savings accounts pay abysmal interest these days so I don’t bother to transfer funds). However, if you don’t run a physical register and merely rely on the bank’s statement of balance you can easily overspend. This method of mine is for the extremely disciplined sorts! 2. Transferred 1/4 of the mortgage payment into the account every week. 3. Set up with the mortgage company to automatically take the full mortgage payment from the special mortgage account on the due date. This allowes me to keep the payment on time and actually use the weekly payment plan even though the mortgage company only takes the full amount on the due date. You can also save money in this account because at the end of the year, you will have an extra month’s mortgage payment in the account. 52 weeks per year divided by 4weeks ( 4 weeks in a month)= 13, The mortgage company will only take out of the account 12 times. Then you can either add this to the priniciple or save it for something else! So, I will try this but is there a day of the week that is the best to make the payment.? I really don’t think day of the week matters. We’ve always used Friday just because we both used to get paid on Fridays. Now, my paychecks come at random times through the month and my husband gets paid on the 1st and 15th. It’s just easier for us to stick with Fridays because it’s what we’ve always known. I have been doing this for years and it is a fantastic way to pay bills. You made it very easy to understand and I wish everyone who tries this method great success! Just an idea for those math challenged. Some debit cards now Mail payments for you as well. Serve deducts your payments the day you do it on the computer wher it nails it or electronically sends it. Many financial institutions offer an automatic transfer system that you can easily set yourself through your online banking or with a teller. Basically you would put your weekly allotment for your mortgage in your savings and set the transfer to run on a certain day of the month so that your payment is ready go and you don’t have to remember to move it.